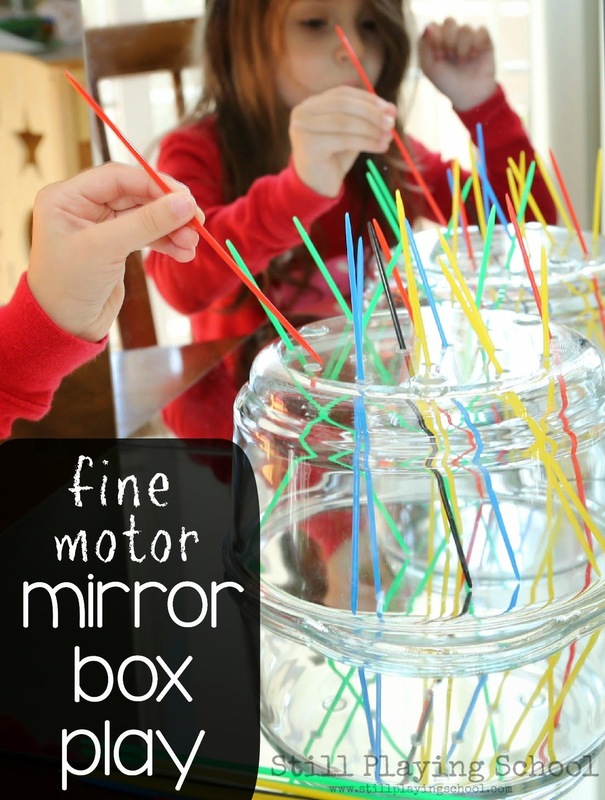 Fine motor mirror box play was an inviting way to allow our preschooler to practice her pincer grasp! 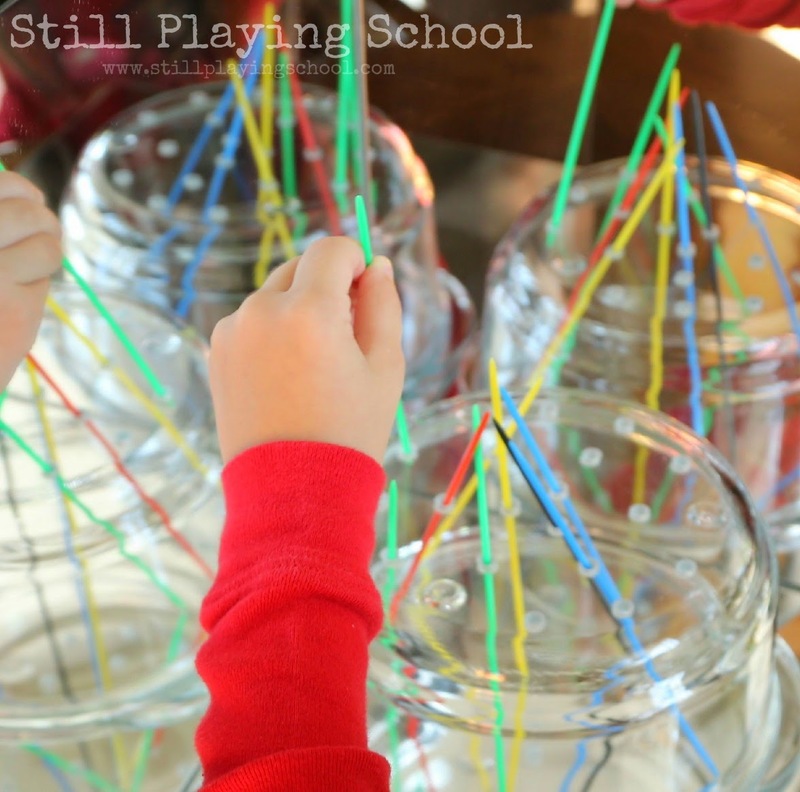 We've never explored the traditional pipe cleaner and colander fine motor activity so this was our twist! 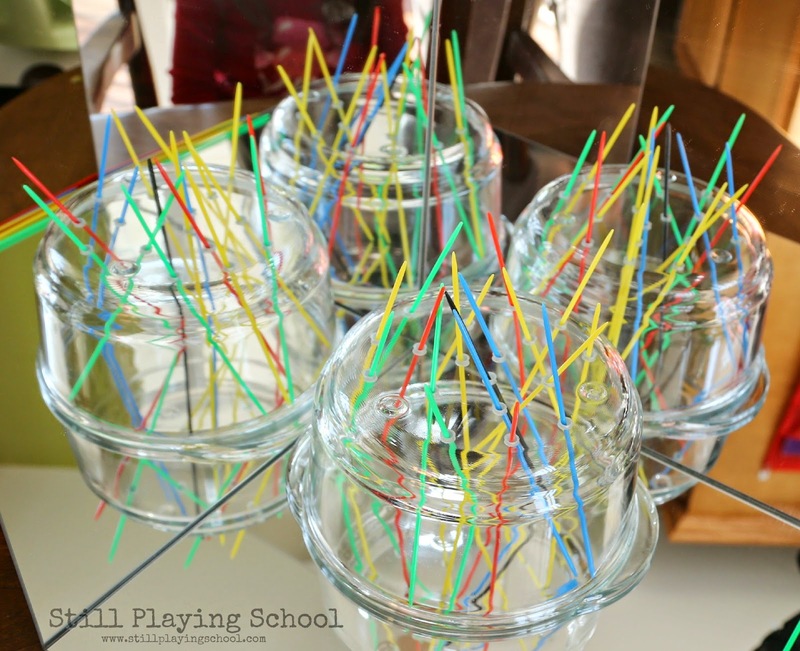 We used our mirror box, a glass strainer, and pick up sticks! 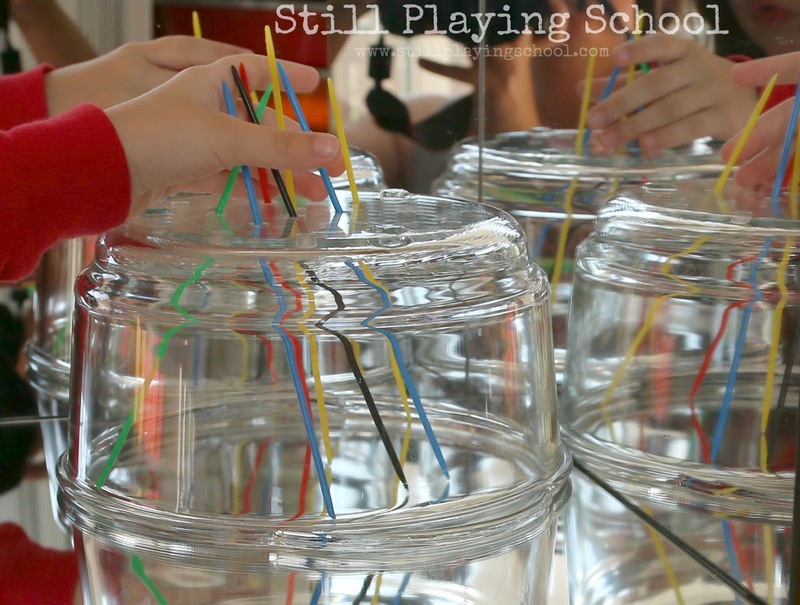 E had to aim to place the sticks in the holes of the colander. 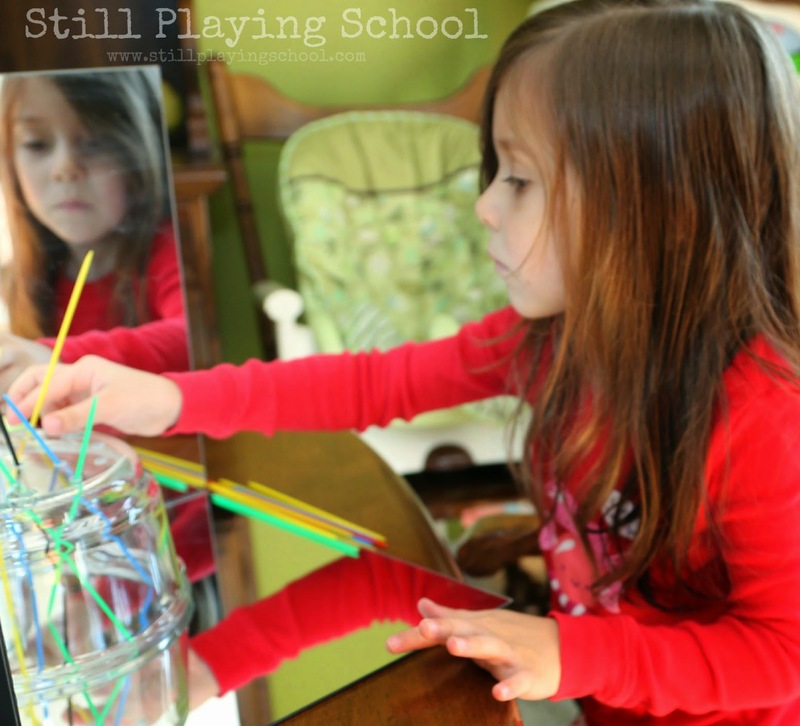 She used her fine motor skills when selecting her next color and arranging them just so! When finished E announced that this was her birthday cake. With this many candles she was, "very, very old!"